Two yards of serge for Mrs Pharazyn: Wellington women go shopping in the 1850s. 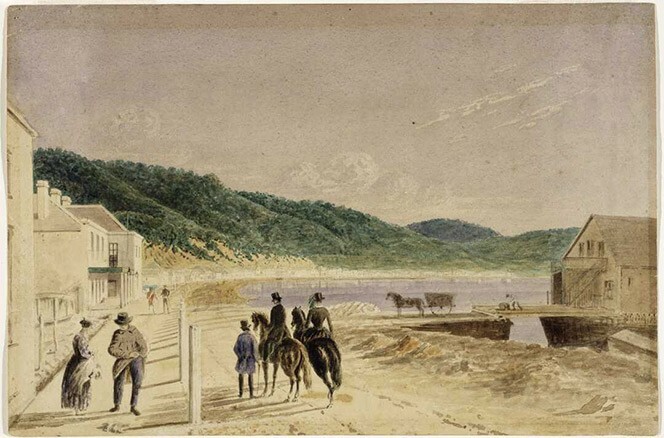 The Friends of the Turnbull Library supports the work of the Alexander Turnbull Library, and promotes public interest in the Library’s collections. Nineteenth century shopping habits revealed. William Clark (1830-1902) was a draper in colonial Wellington, with his shop on Lambton Quay. Thanks to the extraordinarily detailed business records which are now part of the manuscript collections of the Alexander Turnbull Library, the shopping habits of his broad variety of customers — Māori and Pākehā, landowners and labourers, sailors and rival shopkeepers, the military and the government — can be revealed. Angela Lassig was delighted to find this treasure trove within the vellum bindings of Mr Clark’s ‘Day’ books while she was researching a book on the history of 19th-century women’s dress in New Zealand – the project for which she has received a FoTL research grant. Angela is a fashion and dress historian currently based in Auckland.